Ken Goldstein advises start-ups and established corporations in technology, entertainment, media, and e-commerce. He currently serves as board chair at ThriftBooks Global, the worldwide market leader in online sales of used books. He also serves as board chair and is a frequent contributor at The Good Men Project, an expansive digital content site offering perspectives on social issues in the 21st century. He publishes the business blog CorporateIntel and speaks frequently on the topics of innovation and creativity. His first book, This Is Rage: A Novel of Silicon Valley and Other Madness, was published by The Story Plant in 2013. It was a Barnes and Noble Online bestseller, and a stage adaptation is in development. His second book, Endless Encores: Repeating Success Through People, Products, and Profits, was published by The Story Plant in 2015. His third book, From Nothing: A Novel of Technology, Bar Music, and Redemption, was published by The Story Plant in 2018. 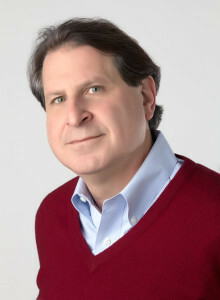 Ken served as Chief Executive Officer and Chairman of the Board of SHOP.COM, an integrated marketplace developing creative new experiences for online consumer commerce through the convenience of OneCart®, its patented universal shopping cart. SHOP.COM was acquired by Market America, where Ken became a strategic advisor to the company’s founders and senior management. He previously served as executive vice president and managing director of Disney Online, the business unit of the Walt Disney Internet Group that produced the leading entertainment web destination for kids and families. Key achievements at Disney developed by his teams included launch of the first massively multiplayer online game for kids, Toontown, as well as FamilyFun.com, Movies.com, and the broadband service Disney Connection. He and his wife Shelley, who teaches English as a Second Language, make their home in Southern California, where he is active in children’s welfare issues and local government. He has served on the boards of Hathaway-Sycamores Child and Family Services, the Make-A-Wish Foundation of Greater Los Angeles, and Full Circle Programs. He received his Bachelor of Arts degree from Yale University. Listen to 2 Minutes with Ken Goldstein, a weekly radio podcast on Barb Adams Live. The information and opinions expressed throughout this forum are provided for education, entertainment, and informational purposes only, without any express or implied warranty of any kind, including warranties of accuracy, completeness, or fitness for any particular purpose. The Information contained in or provided from or through this forum is not intended to be and does not constitute financial advice, investment advice, trading advice or any other advice.